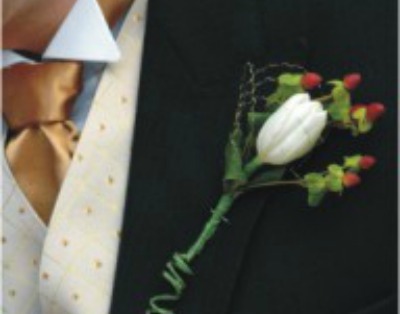 Pin the Boutonniere on the Groom can have many variations, depending on your party. The key is to get a life-size male poster and decide what you'd like to have the girls pin on it. I know there are versions out there that come as complete packages, such as Pin the Macho on the Man. My twist on this game is to have the guests make whatever it is they decide they want to pin on. I just supply some craft items and believe me, you'd be surprised at what they come up with. This game definitely gets the girls talking and laughing, no matter what they decide to pin on. Play the game as tame or as wild as your party demands. Now that is an interesting game. I can just imagine the laughter that might result from that. We played this game at my friend's bachelorette party. I don't think I've ever laughed so hard in my life. They had a bunch of different objects you could try and pin from hotdogs to balls and chain. The units were almost as funny as the game... ALMOST. Would be interesting to see what the girls would come up with if they had to make their own units to pin.